What is your definition of whole foods? For me, it is food completely devoid of animal products that have been processed or refined as little as possible. Whole foods are free from additives or other artificial substances. They are natural, plant-based & do not involve ingredients you have never heard of before. As a vegan, I am used to reading the ingredients list when browsing through a market but not only am I checking for animal-products, I’m also scanning for unknown colours, flavours and acids. If my items have more than five ingredients, I am very unlikely to buy it unless they are all natural. For example, some raw desserts will include coconut oil, carob powder, nuts, himalayan salt, agave nectar and more. These are all natural, organic ingredients and the best ones to look for if you’re craving a sweet treat! All of my snacks have one or two ingredients. In the morning and afternoon, I usually eat a handful of nuts, chopped fruit or dates. Whole foods fill me up quickly and keep me energised. I find if I buy snacks that have a lot of processed sugars, colours and flavours, I feel sluggish and bloated. These are my perfect kind of snacks! 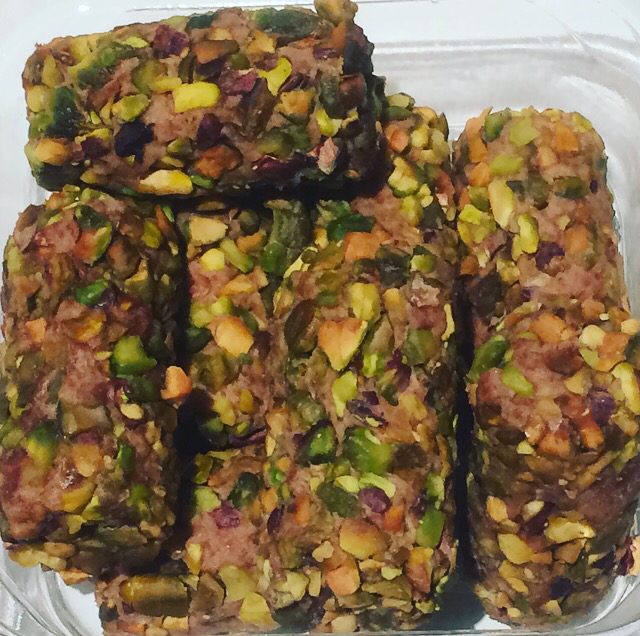 They literally only have 2 ingredients – dates & pistachios. No added oils, flavours, sugars or acids. Being quite small, I often hear that I can afford to eat junk food once in a while. Absolutely I can afford it but what concerns me isn’t how I look but rather how I feel. I’ve been eating clean for a long time and so suddenly eating junk causes me to feel incredibly sick. It is important for all of us to be conscious eaters and ask ourselves these questions whenever we shop, cook or dine: Is this beneficial or harmful to my health? Will it provide me with nutrients? What is the cost of eating it? Does my food impact an animal or the environment? If I don’t believe the meal in front of me is nutritious then it won’t make it into my stomach. Our bodies are our temples. We are what we eat and I want to nourish mine every single day. This is honestly the healthiest and happiest I’ve ever been. The food I choose to consume keeps me feeling great and full of energy all day long. A lot of vegan bloggers at the moment are doing ‘What Vegans Eat in a Day’ posts. I absolutely love reading these as they showcase so much variety and give me new ideas. Their breakfasts, lunches & dinners are packed full of whole, nutritious foods which can be consumed in large quantities without gaining a kilo. My post is similar but more providing examples of actual meals containing whole foods. To be honest, apart from my breakfast, what I eat for lunch and dinner differs from week to week but it always contains fresh vegetables, legumes, grains, fruits and tofu. 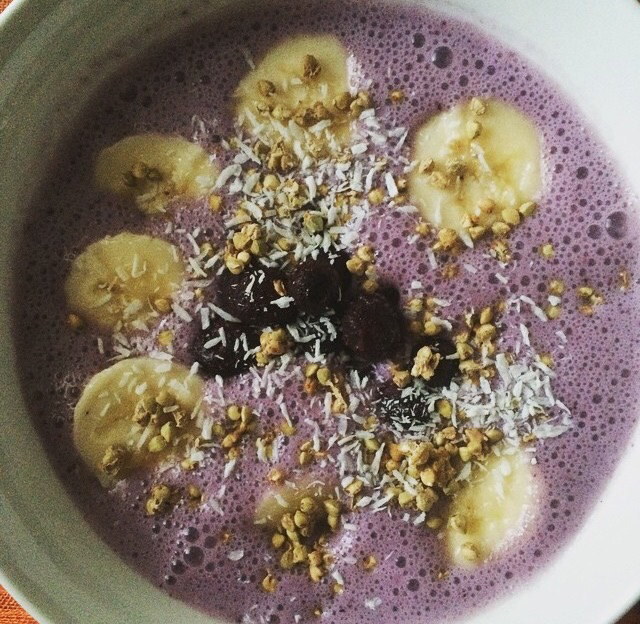 My breakfast is pretty much the same every day (aside from the occasional chia pudding that I can’t resist!). I fill my container with rolled oats and soak in almond/coconut milk overnight. In the morning, I top the oats with fresh berries, shredded coconut and cinnamon. It is incredibly filling and full of antioxidants and vitamins. 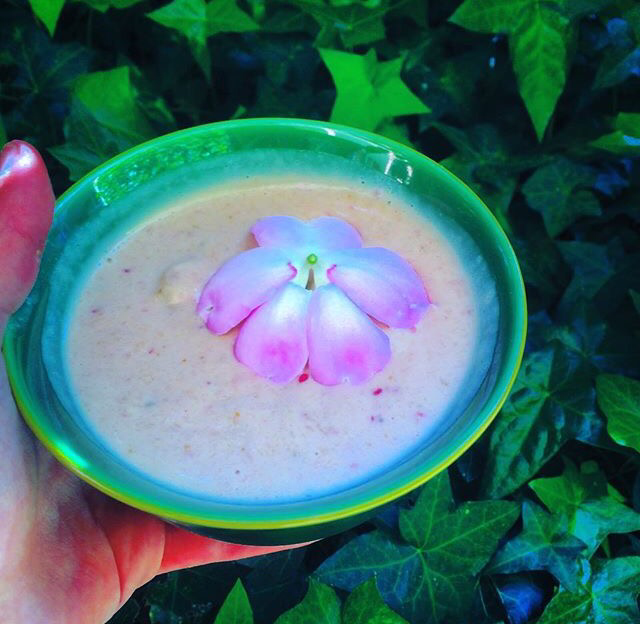 On weekends, I have more time to experiment and make either a smoothie bowl or delicious Vegan Nice Cream! 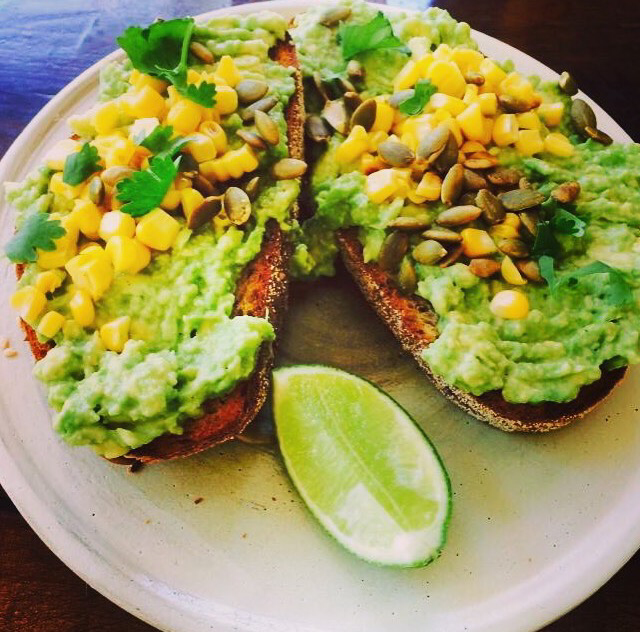 I’m not a fan of hot meals for lunch so I usually eat fresh salads or smashed avocado on multigrain bread. I hardly ever make my own lunch as the area I work in is packed full of affordable, healthy vegan options. There are so many custom salad bars where you can order a large sized gourmet salad full of fresh ingredients. 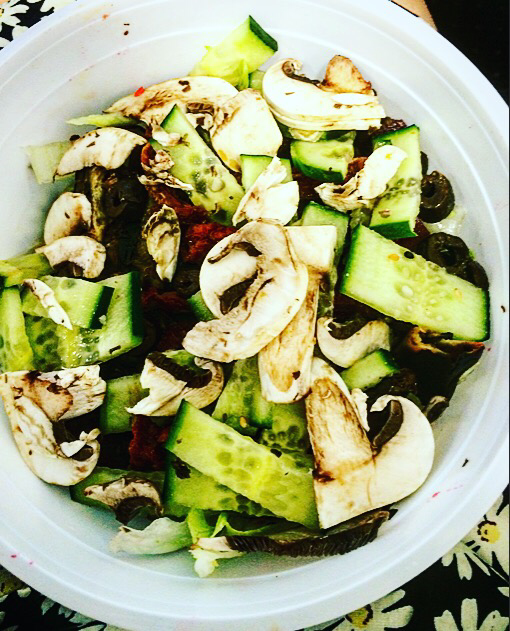 My favourite is this bowl which consists of lettuce, cucumber, olives, mushrooms, eggplant, beetroot and sundried tomatoes. As mentioned, dinner is always different as I love to experiment in the kitchen. I love oven roasting my veggies and do so without any oil. 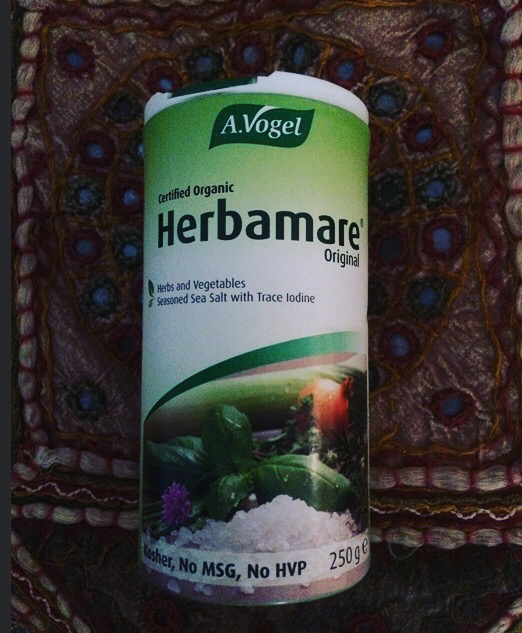 I simply cut up my vegetables and sprinkle Herbamore Organic on top. They come out full of flavour without tasting greasy. 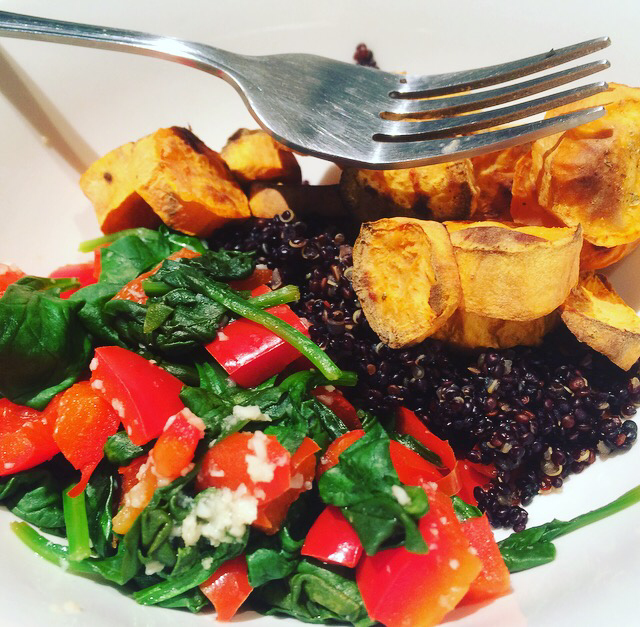 This bowl consists of cooked quinoa, sweet potato, spinach leaves & red capsicum. Meals like these fill me up instantly and keep me satisfied until breakfast the very next day. 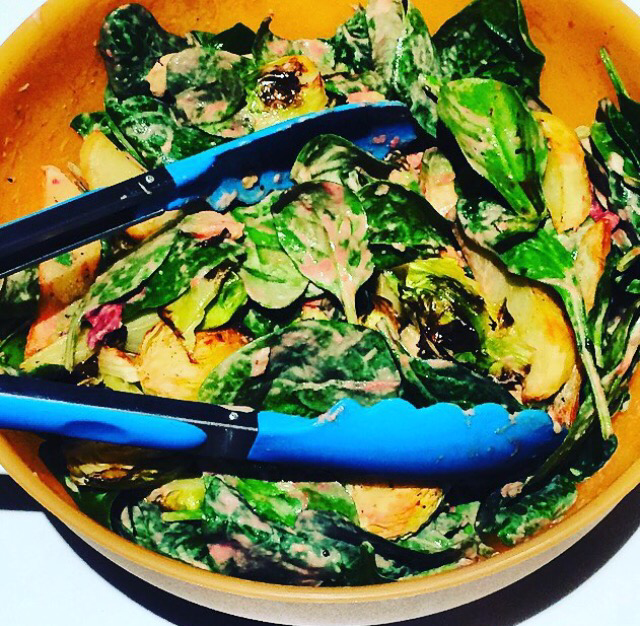 Another favourite is my oven roasted brussell sprouts & spuds salad with avocado, spinach and beetroot. I like adding a homemade Sriracha Aioli on top for some kick! All of these meals are super tasty, filling, affordable (as you are buying less ingredients) and healthy. As mentioned earlier, it doesn’t mean I don’t eat treats and of course this isn’t always the case when I travel or go to a person’s place for dinner but whatever the scenario, all of my meals are 100% vegan and consistently full of whole foods. Let me know if you liked this post or can suggest great whole food meal ideas! As you can see I eat all day long, consuming as much as I need to to feel full. A plant-based, whole foods diet fills you up faster without needing to consume copious amounts. Less really is more when you’re eating whole, nutritious foods. You’ll feel on top of the world! Please stay tuned for my Raw Till 4 ‘Meal & Exercise Plan’ coming up in the next week or so! I really like your definition of whole foods and I agree with that. Although I eat meat, there are some meals where I will stay clear from meat and eat solely veggies. I really need to keep up my veggie intake!